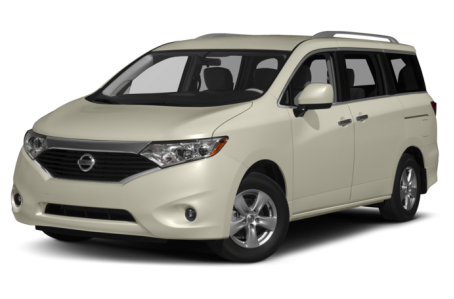 Sorry... the 2016 Nissan Quest is no longer being sold as new. The Nissan Quest minivan can seat up to seven people in three rows. It competes with the Chrysler Town & Country, Dodge Grand Caravan, Honda Odyssey, Kia Sedona and Toyota Sienna. It comes in four trim levels: S, SV, SL and Platinum, all with a 3.5-liter V-6 engine and a continuously variable automatic transmission.